The Canadian Dollar (CAD) is on the bids around 1.3200 against the USD during early Wednesday. 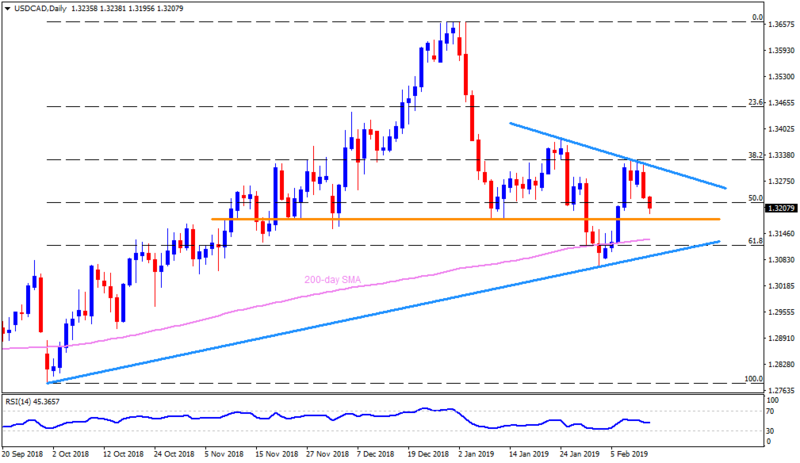 The USD/CAD pair’s failure to surpass 38.2% Fibonacci retracement of October – December upside, signals brighter chances of its drop to 1.3185-80 horizontal support. Should the pair refrains to respect 1.3180 rest-point, the 200-day SMA level near 1.3130, followed by an upward sloping support-line at 1.3085 can challenge the sellers. Meanwhile, a descending resistance-line of 1.3315 and the 31.8% Fibo. level of 1.3330 seems adjacent resistances for the pair. 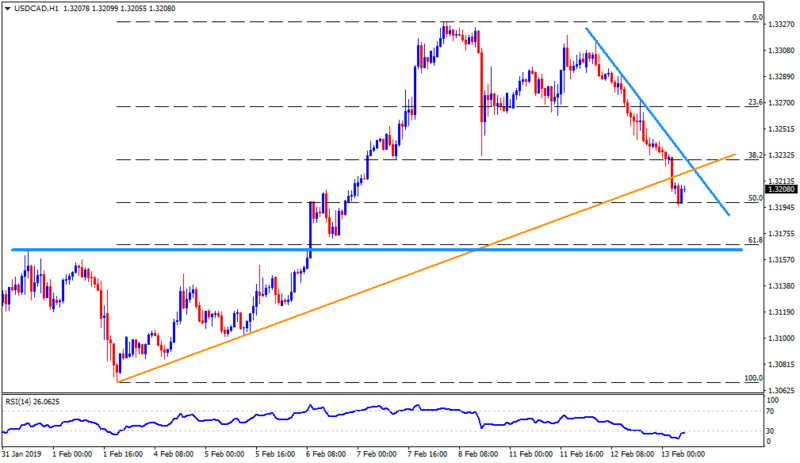 Given the pair’s successful rise beyond 1.3330, 1.3380 and 1.3415 could play their role of resistance. Looking closely, 1.3150 and 1.3115 can offer additional supports after 1.3180 whereas 1.3060 and 61.8% Fibonacci expansion of its moves ranging from late-December, at 1.2960, may grab the limelight afterward. On the upside, 1.3260 seem adjacent resistance prior to highlighting 1.3315 trend-line. In addition to 1.3260 resistance on H4 chart, the hourly picture emphasizes on immediate downward sloping trend-line, at 1.3230. 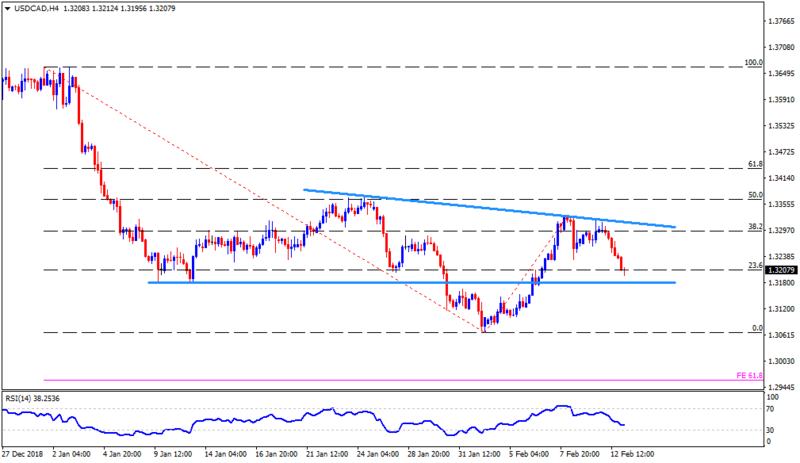 Also, 1.3120 and 1.3100 could provide intermediate supports after 1.3150 breaks.